Analysis: Southern University and A&M College needs approximately $2.1 billion for all of its undergraduates to attend debt free annually. There might be no school more difficult to understand in terms of endowment analysis amongst HBCUs than Southern University. It is home to arguably one of the most fiercely loyal alumni bases there is amongst HBCUs and yet its endowment has not breached the $10 million mark. It is the only HBCU with a system of campuses. Something many HBCUs sit in quiet and envy wishing to have. It also home to one of the SWAC’s two law schools. Something that has helped Texas Southern University, the other SWAC school with a law school, become the largest endowment in the conference. It is no secret that Southern University is in by far the most openly hostile state for HBCUs with Louisiana governor Bobby Jindal almost making a daily mission to crumble every public HBCU in the state. 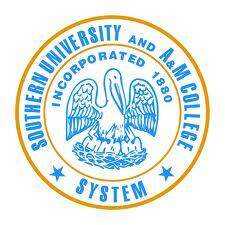 That being said Southern University also boast one of the former governors of Louisiana among its law school alumni. The law school also boast a 40 percent European American population raising questions once again about an over emphasis by HBCUs on ethnic diversity and those alum having no real emotional investment in the mission of the HBCU. Its lack of giving from its undergraduate alumni is another story and what seems to suggest a real lack of engagement by Southern’s leadership and its alumni. Despite being located in one of the poorer states in the United States and therefore having demographics of income and wealth working against it, a school like Southern with such a rabid alumni base should be able to make up in quantity what it can not provide in qualified donations. Southern University should be a top 10 endowment. Should be. The fact that it is not speaks to a leadership void from administration to alumni. It must also continue to form a political strategy that sends shots back the way of those in the state intent on its dilution otherwise it could see a hostile political situation become nuclear. If it can find a way to gain some footing on both accounts we could see the meteoric rise of arguably the most underachieving endowment in HBCU nation into a superstar.